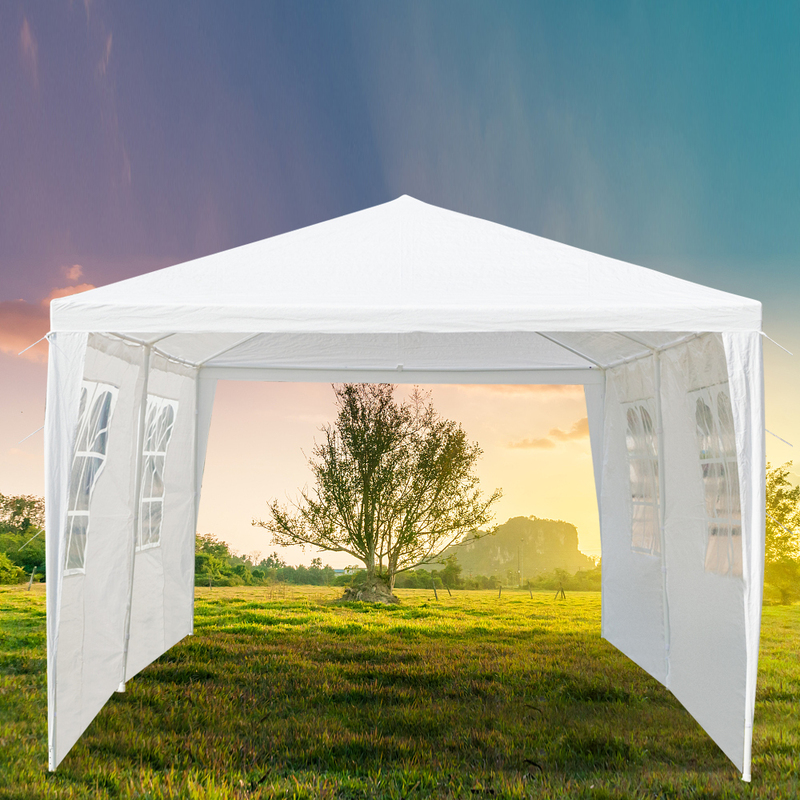 Tent, a commonly seen gadget in our daily life! 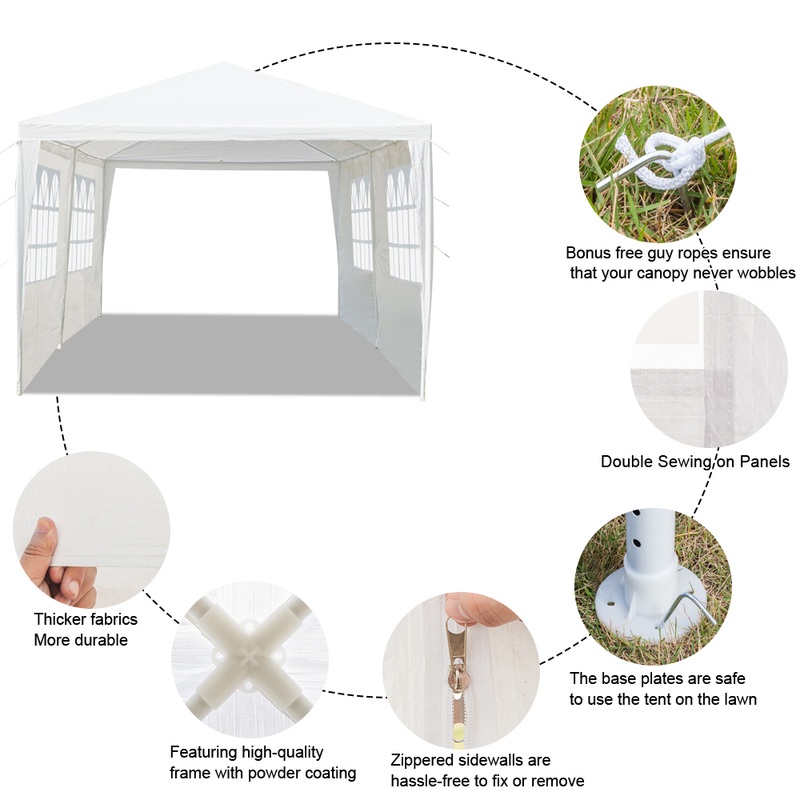 If you are in need of a portable and practical tent, you can try this 3 x 6m Four Sides Waterproof Tent! 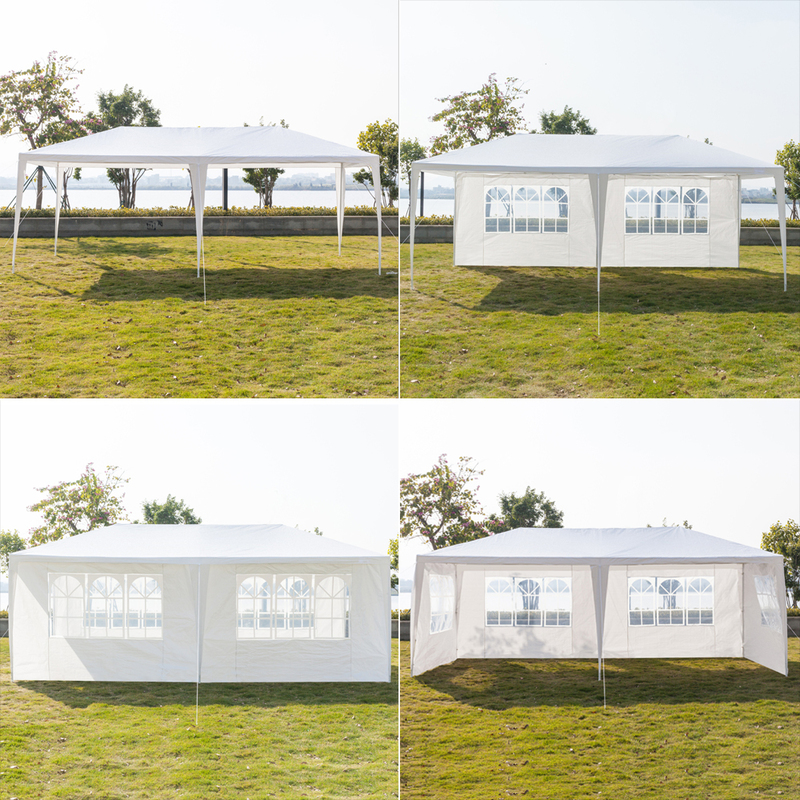 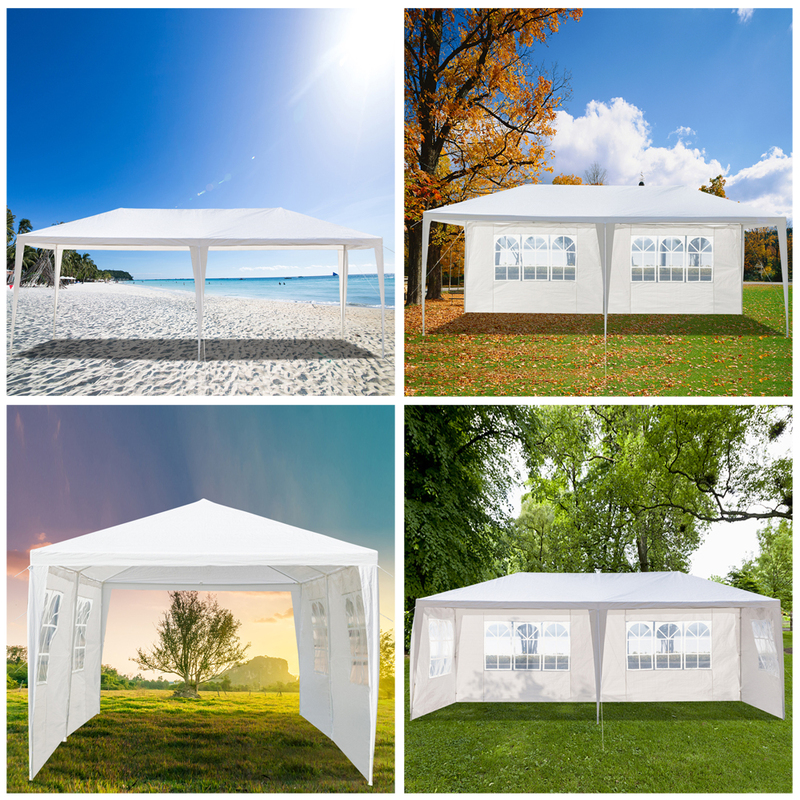 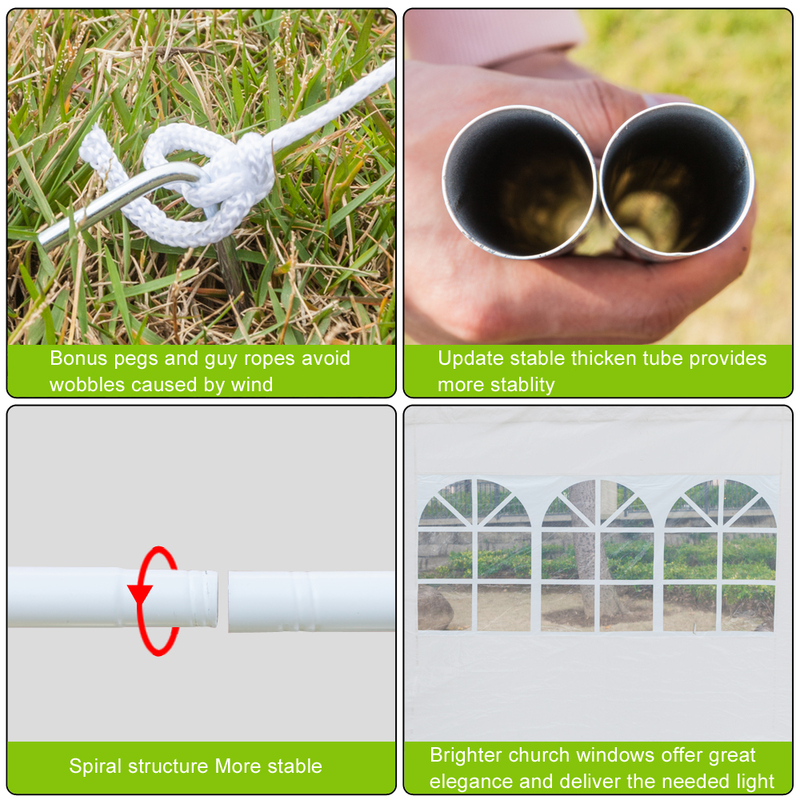 It is particularly designed for wedding, camping, parking and other parties. 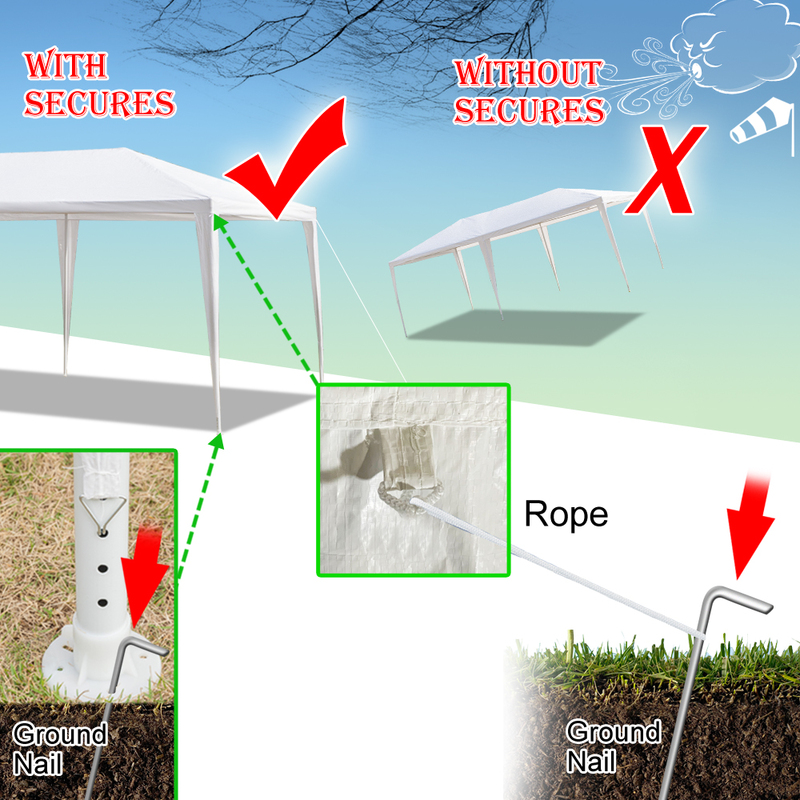 It is not met to be up in the wind. 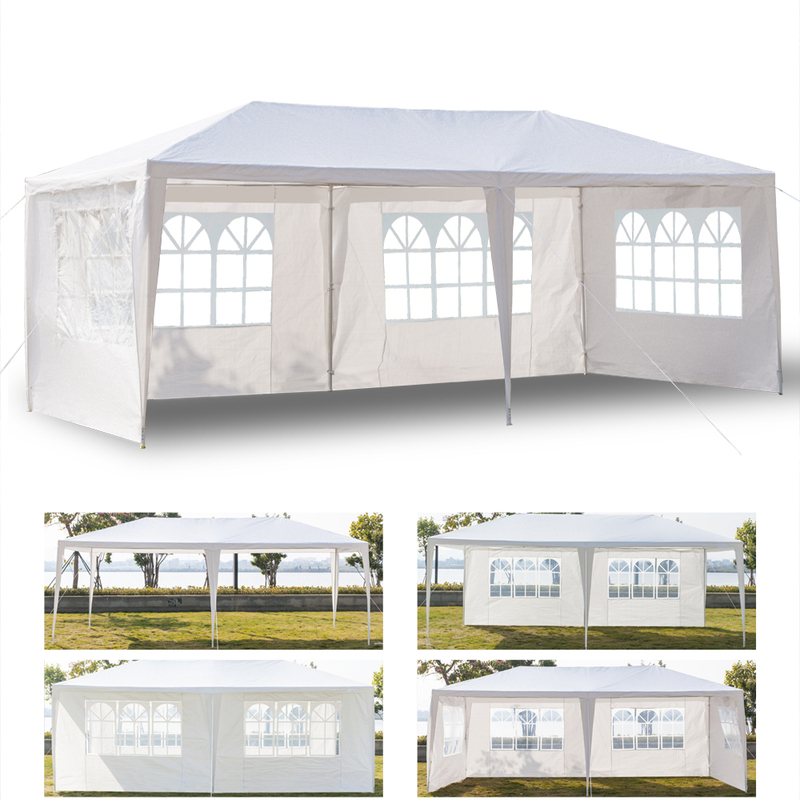 This tent provides spacious room for accommodating many people. 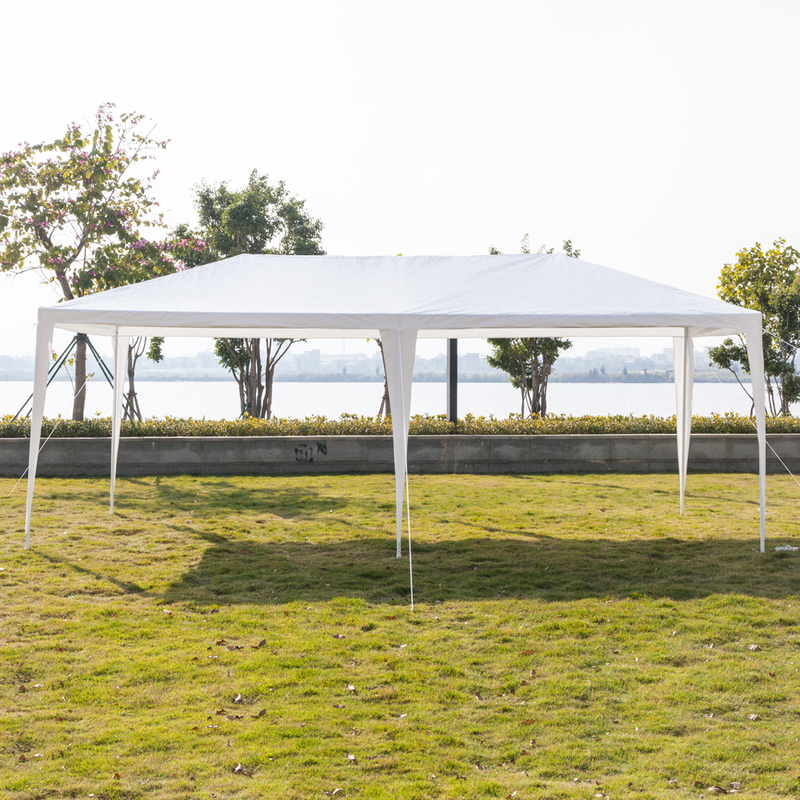 Its high-grade PE cloth top and iron tubes together with delicate workmanship ensure good structure and ruggedness. 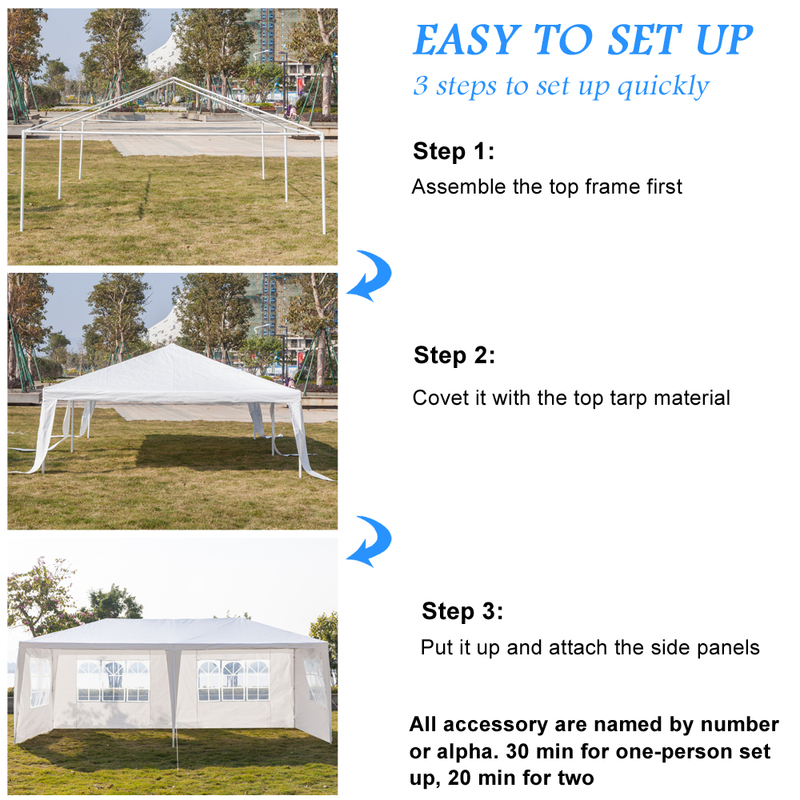 How do you like this offer? 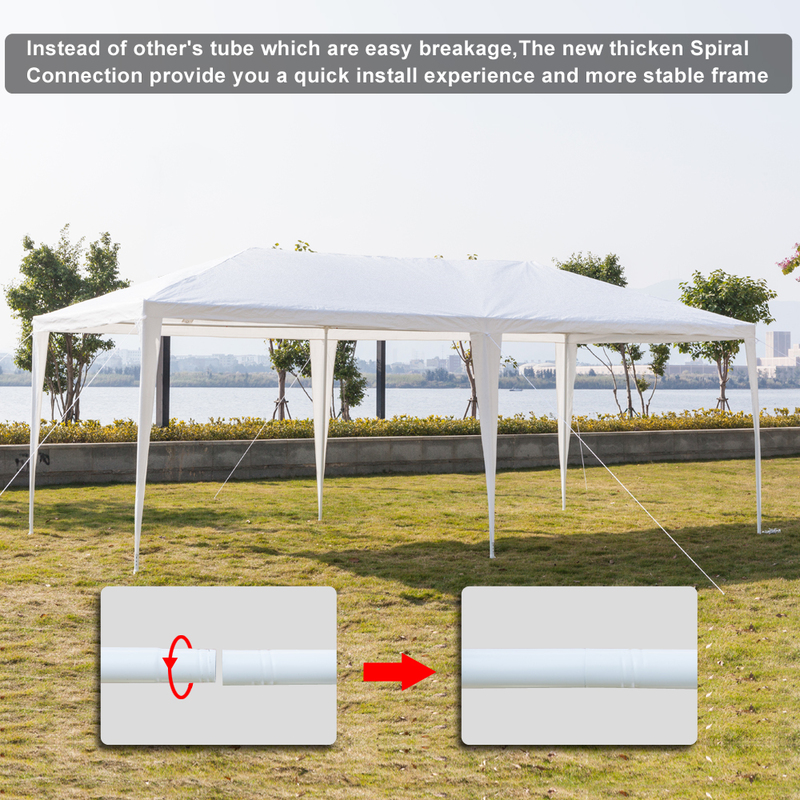 It's my first time to purchase something like this item online.I am lucky enough to get the right one.The cloth is thick,the support pole is strong, and it is windproof and rainproof.Cheaper than that of brick-and-mortar stores.A cost-effective product.